The first Meeting House on this site was built in 1738. It was replaced in 1748 when a larger building was constructed. 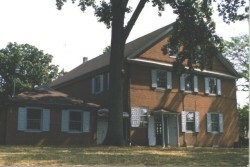 The old Meeting House was then converted into a school known as Wilmington Friends School, it was relocated to a new facility in 1937, and is the oldest existing school in the state. The present Meeting House was built in 1816. Wilmington was the last major stop on the East Coast overland route of the Underground Railroad. 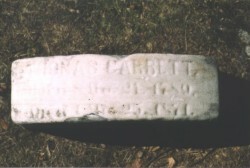 One of the central figures of this clandestine network was Thomas Garrett, a Wilmington resident and member of this Meeting who was known as the “Stationmaster of the Underground Railroad.” Found guilty of violating the Fugitive Slave Law in 1848, he was forced to sell his possessions to pay his fine. Many were purchased and returned to him by members of the Meeting and other supporters. Garrett is credited with helping more than 2,700 slaves escape to freedom. His last public appearance was as presiding officer of a suffrage meeting continuing his dedication to the still held Quaker tenets of Simplicity, Equality, and Peace. Following his death in 1871 he was laid to rest in the adjoining burial ground. Location: Wilmington, Corner of 4th and West Streets (302) 652-4491.